If you only know one thing about your character, you should know their goal. What is it they want to achieve – or avoid – at the start of your story? This initial goal doesn’t need to be something lofty or even something positive. Sometimes goals might be (“avenge my father’s death”), but some goals might be more like “avoid getting into trouble” or “overcome my crippling shyness”. The goal may also be something that your character can’t or won’t be honest about … even to themself. It might also be something that changes throughout the course of your story. In the first Iron Man movie, for instance, Tony Stark doesn’t have a particularly worthy goal at the start (probably “continue making lots of money from arms sales”) … but he changes radically and his goal, arguably, becomes atoning for the destruction his company’s weapons have caused. When it comes to developing your character, then, you want to think in particular about their initial goal, and how that goal might change as the story progresses. But how you develop your characters is up to you. I’m going to run through five key approaches. These aren’t mutually exclusive: you might decide to use one of them at the start of the process of crafting your novel, and a different one as you approach the rewrites. Or you might want to pick and choose elements of several — it’s up to you. Some writers – perhaps those who aren’t too keen on plotting before they start, either – like to just launch into their story and see what happens. If you’re writing something short, or if you’re happy to do a lot of rewriting, then letting your characters develop as you write might work just fine. Maybe you start out with just a name (and that might be little more than a placeholder), and you see how your character acts and reacts once they’re let loose on the page. There’s nothing wrong with this approach … so long as it works for you. 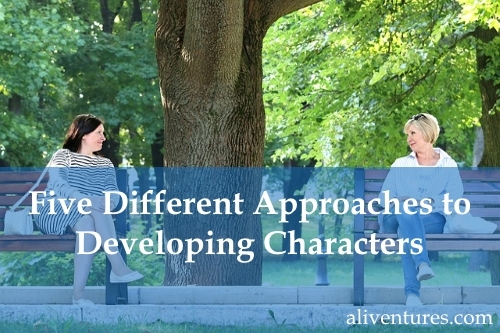 Most writers want to do at least a little bit of getting to know their characters before they begin the first draft of their novel, but you may well find that your characters come alive in ways you hadn’t quite expected once you begin to write in earnest. If you don’t want to go for a full-blown character questionnaire (see Approach #3), or if you like to let your ideas develop over time, then simply jotting down notes about your characters might work well for you. 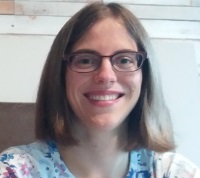 My novels mostly begin as a handful of disparate notes – a core scenario and two or three main characters, described briefly, or with lots of question marks about certain aspects or angles. Even if you are going to move on to a more involved approach at a later stage, informal rough notes can be a great place to begin. You’re not setting anything down for certain at this point – you’re exploring possibilities – so you may find this is a more natural fit for the early, nebulous stages of story-planning than something more fixed and concrete. Character questionnaires are very popular (you can find hundreds of examples online), and they’re often what new writers turn to when they’re trying to develop a character. I think they can be very useful, though only if they prompt you to think about things beyond essentially interchangeable facts and figures. 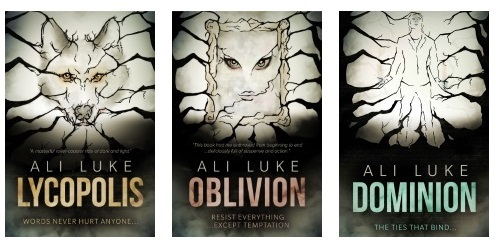 (Holly Lisle’s ebook Create a Character Clinic is great for this.) After all, does it really matter if your main character has blue eyes or brown eyes? Is it important that their birthday is on the 18th March? Some details might well be significant – for instance, if you’re writing sci-fi and your character has blue eyes but absolutely everyone else on their planet has brown eyes, that could be a huge plot detail. If your character’s birthday is 25th December or 14th February, that might have shaped their life in some way. Sometimes, “character interview” is just used as another term for “character questionnaire”, but in this case, I mean it as a form of dialogue. This isn’t a technique I’ve used much myself (I find that letting characters develop as I write has a similar result) – but some authors like to sit their characters down for an imaginary interview. They ask the character questions, and have them answer. It should end up working as something like a cross between Approach #1 and Approach #3: you’re digging into the sort of information you might get in a questionnaire (#3), but you’re watching and hearing your character in action at the same time (#1). If you’re the sort of writer who feels that your characters “come alive” and run off in their own direction with your story, this approach might work well for you. Finally – and I think this approach is one you can use with any or all of the above! – you can add more depth and complexity to your characters during the rewriting process. For me, Draft One is just the beginning: subsequent drafts are where the story begins to truly take shape. This is often a good point to iron out early characterisation hiccups, or to refine a character’s personality and approach: perhaps a shy character came across as too passive, and needs a bit more action early on, for instance. Redrafts can be a good place to introduce more nuance to your characterisations (so your goodies aren’t too good and your baddies aren’t too bad). However much planning you did before beginning your first draft, there’ll almost certainly be things that you want to tweak. How you develop your characters is up to you: whichever of these techniques you use, the important thing is that your characters feel like real people … with goals that they’re striving for. 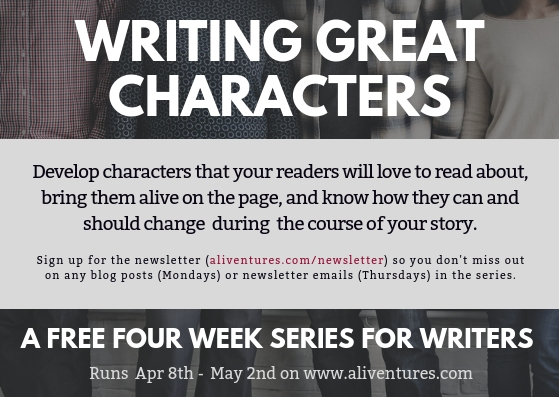 During the rest of this month on the Aliventures blog and in the newsletter, we’ll be taking a closer look at how to write great characters, at why character arcs matter, and at how to solve some of the common problems that authors have when creating and writing characters. Make sure you’re signed up to get the weekly blog posts (Mondays) and the weekly newsletter emails (Thursdays). That way, you won’t miss any of the series. Ha…I’m not entirely sure where I fall in the drafting stages, lol. I’ve been working on “The Darkness Within” for years. I’ve written over 300K words of it, spread over over 12 different rewrites from scratch (none ever completed). My characters have evolved over time as well, and most have been eliminated and replaced with entirely different ones. The first version to actually follow an outline is the most recent, and I’m pretty sure it’s actually gonna get finished. My main characters had mostly taken shape before this version, but even they have been subjected to revision—first I gave them a chance to come alive in the first chapter, then I wrote out a list of everything I knew about them, and now as I write the story I continue to edit those notes as I learn more about them. A very long and arduous process, lol. I’m about halfway through the story, according to my outline, and I’m still learning new things about them and even meeting more characters all the time. Two popped up out of nowhere that I hadn’t planned at all. I don’t outline chapter by chapter, but I do use the five-point outline several writers I’ve read are so fond of—inciting event, key event, midpoint, third plot point, and resolution, and all the stuff in the middle. I don’t follow it exactly, if the rearranged events in v11.2 are any indication, but it sure helps. At this point, almost 3/4 of the way through, I’ve actually started outline via “timeline”—creating a day by day sequence of events. Easier to keep track of how long it’s been that way. Apparently the story has so far spanned the events of about 3 weeks. Ooh, that sounds pretty similar to what I do — I tend to know the start, bits of the middle, and the climax, the rest of the plot is mostly up for grabs! I’ve found timelines really helpful, too, as otherwise I end up with weird gaps in time (like, nothing happens all week because it makes sense for the next scene to be on a Saturday) or with weirdly compressed timelines.